Have you ever wanted to own your very own instant camera? You know the ones you get to see so often on the movies. It is incredible how this small device can bring a smile to your face. Those small Polaroid-type of cameras certainly have their own limitations but you just can’t help but love them. In this time and age where digital cameras and photos are literally everywhere Owning an instant camera is still one of the best purchases you can made. There is nothing like holding that picture in your hands and when you take a look at it, it is as if that very moment is there and you are holding it. Choosing the right instant camera is like buying any other camera there are things to consider and keep in mind before choosing the right one. Even though the camera might look good you should know what is under the hood. Sometimes picking the best one could be a hard process. After an extensive research here are our recommendations for the best instant film camera 2018. This is the latest of the Instax Mini series. It is a solid build-up from the Instax Mini 8 which was the previous model that now has been discontinued. If you want to read more about the Instax Mini 8 here. I’m sure every camera enthusiast has heard of Fujifilm at least once in their lives. They are well known for producing cameras and camera accessories. Even though they are involved in more than just the camera business they have some great products. The Fijifilm Instax Mini 9 instant camera is great option it is affordable model and has kept the quality of the previous model. It is small in size and lightweight. Actually it is lighter than the Mini 8. It has all the great features of the previous model and also has added some new on top of them. Like a selfie mirror for all of us who like doing that selfie every now and then. Additionally for the loves of macro photography the new added close-up lens adapter. Oh, the Fujifilm Instax Mini 8, this instant film camera is one of the best you can buy in 2018 for your kid. It offers amazing looks and features. It is not just the variety of soft crayon colors of the different models that are being offered here as there’s much more than that making it definitely a good choice. Although it has cute design it is not just the looks of it that is making it the top kids instant camera here. 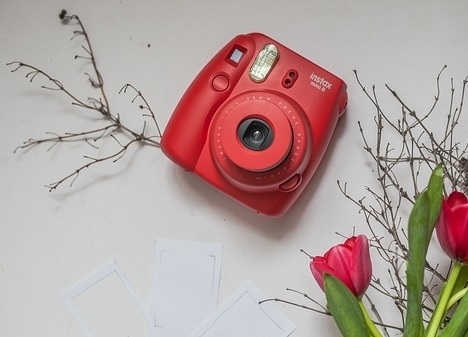 The Instax mini 8 has integrated feature that automatically detects and picks what would be the best settings for taking a picture so that you can get the most out of your photos and capture the moments in the best of quality. It does it automatically by lighting the best option for you, no need to worry about all the bits and bops just turn the dial to the appropriate option and you are ready to go. You will like how easy it is to use that camera, you turn it on, adjust the best lightning, and just point and shoot. It offers High-Key option giving you the possibility to change the contrast of the photos to your liking. This is useful especially if you are after softer pictures with low contrast in the lightning. The High Key is generally best used for portraits and is more forgiving in a way. Having a blurry photo would be a rare thing. Unless trying deliberately making a blurry photo. They pictures bring a certain vintage-ish feel with them they remind of the old school polaroid-like photos. The pictures are smaller than the ones the old Polaroid cameras used to make. Their size is about the same as a credit card and they have white borders on the side with a bigger border on the bottom so that you can easily write on it. The Mini 8 is quality product made to be as easy to use as possible and in the same time providing you with the best pictures all the time on a reasonable price. There was no way we can miss out on the Instax Mini 70 model by Fujifilm. From the get-go the thing that striked us here was the cool and polished design – bringing the old nostalgia to life in a new package that just feels right. Definitely an update to the old models but what exactly has been changed and what we can expect from this model? Bringing the instant cameras and the new selfie hype a tad closer. One of the main features that was taken into consideration and worked on was being able to take of the perfect selfie. No need to turn a blind eye to it everybody is taking a selfie every once in a while and it is only natural for that to be taken into account. With that said the camera comes with a little mirror at the front that can be used to get the general idea of what would be captured. The automatic exposure that the camera offers is going to take a good balanced pictures where both the subject and the background will be captured. Well selfies are not what cameras are only about so let’s take a more in-depth look at what makes this camera a great choice for 2018. Hi-key mode which can be used to tamper with the contrast of the pictures and develop pictures with low contrast and softer tones. Fill-in-Flash option that will provide its worth in those sunny days where the subjects you are taking picture of can appear especially dark due to the background lighting. With this camera you can expect pictures with great quality. Considering the quality to cost ratio this camera is definitely more efficient than the Instax Mini 8 or 9. Something that the Instax Mini 8 was lacking and could be a letdown is a self-timer and The new Mini 70 model has definitely worked on that and now the camera comes with not just a self-timer but with an option for taking 2 pictures too. It is somewhat bulky which is kind of a downer. Having that in mind though we liked the weight and feel of the camera, it felt really solid and that is something to be appreciated. Overall I’d say this is the best instant camera for taking pictures on the spur of the moment. Whether it is just a simple flower or a group selfie having that moment captured in this small picture will definitely be always something to look forward to. There’s still more to be wanted from the quality of the night shots. There is something special about instant cameras where they bring that irreplaceable nostalgic and classy feeling. The Instax Mini 90 is no different combining the old with the new creating a camera that you may just fall in love with. So what makes that camera from Fujifilm so special. Let’s start with something that you might have already noticed here, this one definitely has a different style. It doesn’t look like a toy. Yeah it is actually all plastic but holding it in the hand feels good and has decent weight to it. Definitely not like the old school cameras thought but I’m not looking for that here. The Instax Mini 90 Neo Classic is using again the Mini film which means the pictures are small (think credit card small) but this doesn’t affect the photo quality. Now, the features on the Mini 90 are providing a great value for the money bringing some really cool features on the table. Overall this is one of the best instant cameras on the market. Looking for a great gift or for taking pictures at a wedding? You bet! This one will bring you some unexpected compliments as well. I’m sure you’ve guessed it that most of the other cameras have a small drawback when it comes to shooting people get together. As photos are kind of on the expensive side the last thing you want is to worry if the picture will be able to capture everybody at the party or the meeting. This is where the wide film instant cameras step in. This one will allow you to capture pictures that will be almost twice as wide as the rest of the cameras here that are using the Instax Mini film – to make it short this means Bigger Pictures! Yuss! Having that in mind this one uses a different type of film too. Let’s move on to the more interesting stuff. The Instax Wide 300 is an update over the Wide 210 and it does include better features. The Camera feels sturdy and is definitely a looker. The classy look it has about it doesn’t detract from the quality of the pictures seems to be on par with the 210 which is saying a lot. There is an option for the light to be turned off and on which is a great addition as some of the other models didn’t allow for that and it always seemed like a hassle. If you are interested in making selfies with this one, will bring you some very good picture quality. Having a self-timer would have been a good feature but fortunately there is a selfie mirror. Being a Polaroid type of camera the Instax Wide 300 has no digital features so once you click the button it will print out the picture immediately for you. To wrap it all up this one is a great and satisfying addition. The wide shots and that the pictures is bigger is something that a lot of people would prefer. The Instax Wide 300 bring to the table decent features, great picture quality and size – a modern instant camera that still leaves much to be desired but nonetheless will definitely stay on top of the game for a while. This is one of the representatives of the Digital Instant Cameras from Polaroid. Quite small on size it captures your attention with its modest size and looks. It leaps forward one step ahead as it is definitely a smaller camera then the rest and taking it with you anywhere you want won’t be a hassle. The Polaroid Snap Camera incorporates all the necessary features you might want and expect from an instant camera and it will not let you down. The Polaroid Snap uses the Zink Instant film that creates some really good quality pictures and they develop really fast for an instant gratification. The photos are really tough and will hold their own against water. The picture and color quality is good and exactly what can be expected from a Polaroid camera. The back of the pictures is sticky so you can use them as stickers if you wish. The film is definitely cheaper than some of the other instant cams. All good but where exactly comes the digital part you might wonder and here it is. The camera comes with a 10MP Sensor that takes good quality pictures and saves them automatically on the Micro SD card. That being said the camera has no built-in memory so having a Micro SD card is paramount if you wish to have your pictures saved for later – and it supports up to 32GB memory cards. Keeping that in mind the camera is somewhat a hybrid between the classic Polaroid cameras and a Digital Camera where it can be used as either one or both at the same time. You can use it as a digital with only the SD card put inside or as an instant camera if you load up the film. It comes with a built-in battery. Overall this is one really good Polaroid Instant camera with digital capabilities. It is straightforward to use as it has all the necessities like battery low and film indicators and a self-timer. In order to power it on and off all you have to do is raise or lower the rangefinder which is a good thought but nonetheless you need to take extra care when carrying the camera in a bag not to accidentally press the viewfinder – a carrying case will do the job and keep your camera working for a long time. This is one of the best cheap Polaroid cameras you can find. Taking a look at it you can find it to be quite similar to a different camera from Fujifilm – the Instax mini 8. Let’s take a look at what this one can offer. The design of this one is sleek and stylish. The pictures are definitely smaller than what the old Polaroid cameras used to take but they are incredibly clear and it produces vivid colors. We’d consider this one to be more for kids or weddings where you might need some small pictures of everybody for the guest book or any gathering for that matter. This is a great Polaroid Instant camera for kids as it is really user-friendly and although it has just 4 options for the lighting they are really straight forward not providing any fuss to use them. It is a lot of fun and creates vivid instant images that will last forever. Small irreplaceable memories. Keeping the new trends in mind this model is not the best if you want to take selfies with it as there is no mirror and you’ll have basically guess if you are aiming it the right way. Similarly there is no self-timer and this is something that needs to be considered in advance too. Next thing worth noting is that this one is not a digital camera so there’s no way to take a look at the picture before printing it. Comparing it to the Fujifilm Instax Mini 8 the only difference is that the Polaroid is a little smaller. They are in the same price range so it is understandable to have the same strong and weak points. They both use the same size of film. Using the Polaroid camera with the polaroid film tends to provide better results but other than that I’d say they give the overall same quality of the images. The cost per picture is in favor of the Instax mini as in general by what I’ve witnessed it tends to be a cheaper and I suggest opting for the Fujifilm films. The only other significant difference is that the Polaroid one uses 4 AA batteries where the Instax mini uses just 2. To sum it all up – this is a great novelty camera with good quality pictures and will give you a lot of precious and fun moment to remember. In their sense Instant Cameras are not much more different than any other camera you will buy. Here’s the thing though – in order to find the perfect camera for you some research still needs to be made. Whether it is the type of film it uses or the features it comes with or, well, even the size of the camera could be of importance. Especially with those cameras I’m sure you’ve already noticed that they are typically bulkier. The thing that first captures our attention is of course how it looks. Tell me, even if it is the greatest camera in the world but it looks like a typewriter form the 70s are you going to be excited taking pictures with it… well probably not, at least I wouldn’t be. Since there should be enough space inside the camera for the film to be this predisposes to generally having a bulkier cameras. This is why we were taking a not too critical view on their size and overall looks. We know that it is not a deal breaker but generally speaking a more light and easier to carry camera would always be one step ahead of the rest. When it comes to the film that is being used not all cameras are created equal. In order to find out what type of film is being used by the Fujifilm’s instant Cameras just take a look at the Cameras’ name. If there is a “mini” this means it is using the mini films. At very first it was kind of confusing as this is not regarding the camera itself but rather the type of film. The size of the picture itself is 62 x 46 mm which if we had to describe it best we’d say it is about the size of a regular credit card. There is also the “wide” type of film and the Instax 300 is using that. It is a bit larger than the mini’s and its size is a decent 62 x 99 mm which is not too bad and it can capture almost twice the width as the mini’s. In general the mini cameras are best for memento kind of photos for an album or for a guest book. Whereas the cameras that are using the wide films are best for weddings and overall meetings where more people could gather up. Of course this is all not set in stone. Make sure always to check the type of film the camera is using. Generally speaking they don’t offer as much features as some of the modern digital cameras and that is normal they are entirely different type of a beast. Here’s the thing Instant cams are not to be underestimated, although the quality is varying depending on the model of the camera the quality of the image is stunning. 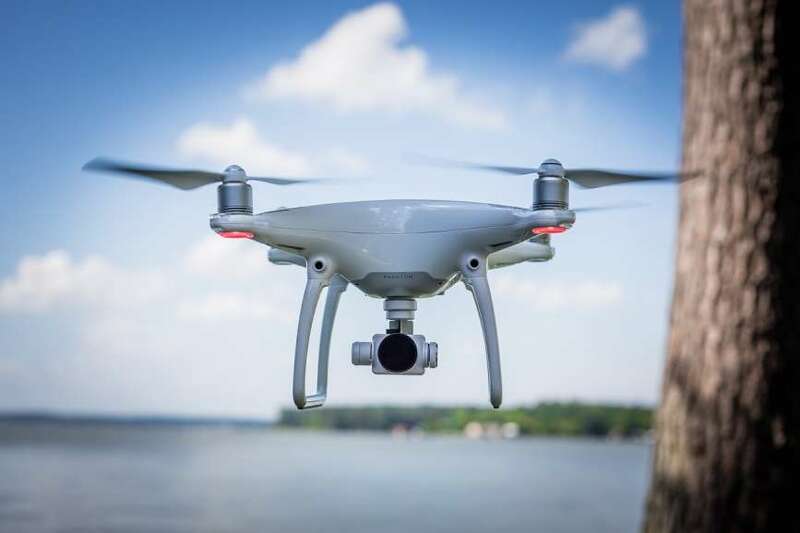 What you can expect is that they offer some basic features as double exposure and different options for the type of lighting and the environment. Something that pretty much carried over all the cameras was that they are lacking when the lighting is low although some performed better than the rest. To sum it up with as little words as possible – they are best for no too bright or too dark environments. Fujifilm realized the power of the modern age as they have adapted some of their models to be easily used for taking selfies by adding a small mirror that can be used to easily line up the image. Another important thing you might want to consider is whether the camera has e self-timer or not as this is a small feature that sometimes proves to be of great value. The film can be a bit expensive. In addition to that you need to take some extra care when storing and using the film as it can be damaged or exposed by the sunlight. The Biggest downside of all the Instant Cameras is that although they are easy to be used really fun and leave an impression – the film is not cheap. The thing that needs to be considered is that it’s not like any digital camera where you can take as much photos from as much angles as you’d like. Here every photo counts which is not necessarily a bad thing as it give much more value and uniqueness to every clicking sound you make but the film that is being used is not exactly cheap. This is a thing to be considered especially when leaving the camera to your kids. Unless said otherwise the instant cameras are typically not digital and have no digital features. That means that as soon as you click the button the image is printed out and there is no way for you to check it beforehand if it actually what you thought it would be. They don’t use any SD cards and images cannot be saved as a digital copy. But there are exceptions as now the tendency is to combine them with digital features, touchscreens and many more features. How do the instant cameras works? It uses “polaroid” type of film and after the picture is taken it develops right in front of you in a matter of a couple of minutes although this could vary a bit depending on the temperature of the environment. When it’s cold outside (for instance in the winter) it could take like 3 minutes on some occasions but usually it takes less than that. They don’t use any ink and don’t need any refilling. All you need is the film pack and batteries for the camera to work properly. How to use the Instant Film Cameras? One of the main advantages they have is that those cameras are really easy to use. You don’t really need to have gone through special photographic lessons to use them in order to take the most advantage of them. With that being said I’d suggest using the first 10 pictures to get a better feel for how the camera works and performs during the different lighting conditions. Instant (polaroid) cameras still have their place in our lives even today. Although they might be considered a thing of the past having a picture that captured an unique moment that you can hold with your hands is still something worth having. The tendency of the cameras are to mix the digital with the old-school. Thus we are seeing how with the newest cameras there are more digital features. Essentially giving us the best of the both worlds.